Description: The bonsai rake is convenient for working the soil during transplanting, as well as for general bonsai care. The rake is used to gently remove soil around the roots and to stir up the soil. The tweezers are used to remove dead leaves, insects, needles, weeds and other fine debris from around the base of your bonsai. 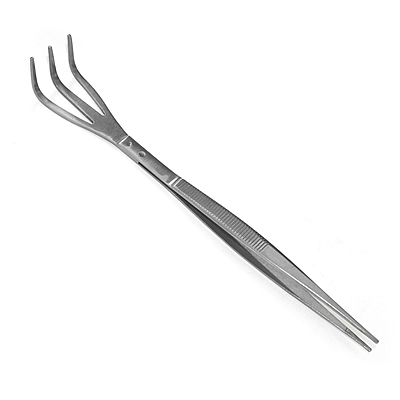 This 3-prong bonsai rake features polished stainless steel construction with a tweezer.